Ricky Rudd during Checker Auto Parts 500 qualifying at Phoenix International Raceway. 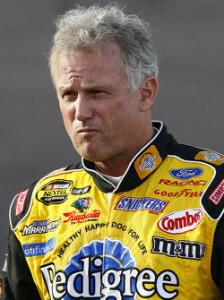 Ricky Rudd has 23 Cup Series victories since his career began, at the age of nine. His Cup Series career began in 1975 with four starts for owner Bill Champion. In 1977 he ran 25 races for his father. During that first campaign, Rudd garnered one top-five and 10 top-10 finishes, garnering him the rookie of the year. In 2003, Rudd made his 700th consecutive Cup Series start at Pocono Raceway. Unfortunately, the engine in Rudd’s Ford blew, and it was pushed back to the garage area early. In October of 2003 at Atlanta, Rudd made his 800th career Cup start.